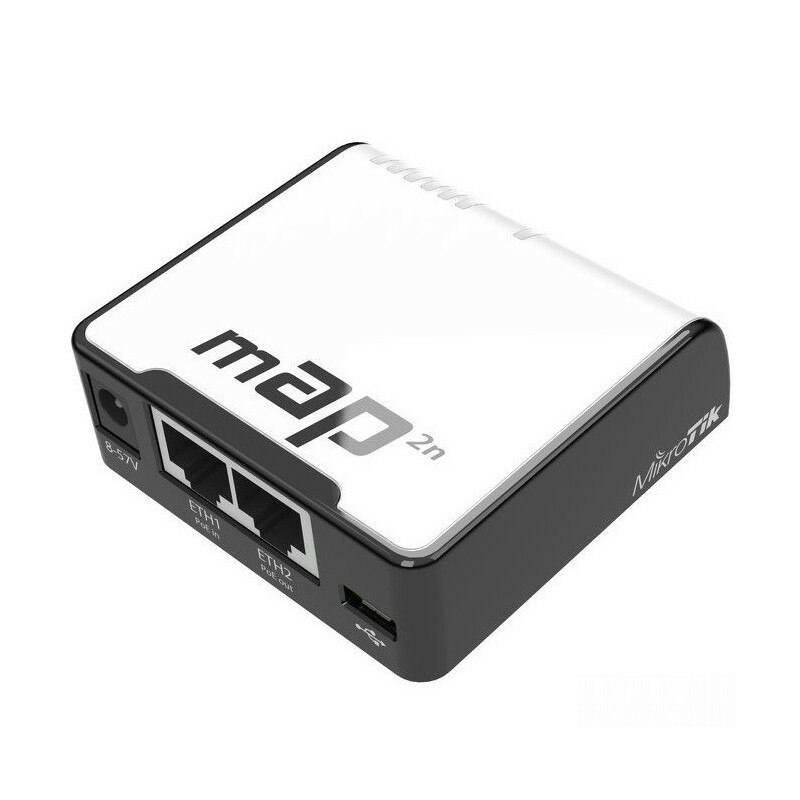 The mAP is a tiny size wireless 2.4GHz Access Point with full RouterOS capabilities. It is very portable, since it accepts power from a wide variety of sources - USB, Passive or Active PoE (802.3af and 802.3at) and power jack. 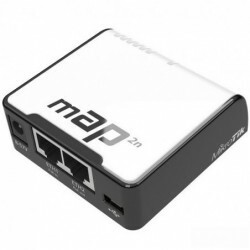 It also works as a PoE injector - the second Ethernet port provides up to 500mA of power to another device, for example, you can connect a SXT CPE device to it.